The imagePROGRAF iPF8400SE printers are aimed specifically at users who wish to produce colorful, eyecatching sales promotion posters, banners, and point-of-purchase materials for vibrant displays at a low cost. This 6-color, large-format solution make on-site poster printing quick and easy, and they offer a variety of features to help enhance workﬂows. 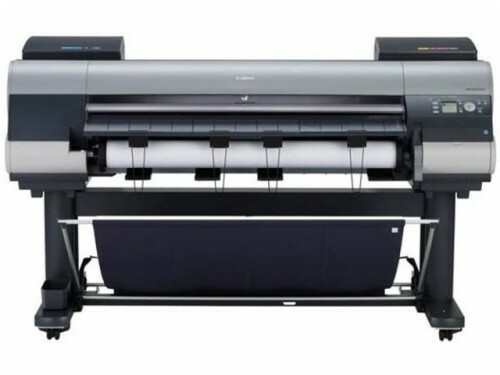 The iPF8400SE is a 44"-wide, cost-effective printer that's optimized for poster printing on a variety of media. It is ideal for producing retail signs, posters, banners, and more. The 44" imagePROGRAF iPF8400SE printer is designed for vibrant poster creation in the signage, infographics display, and retail markets while maximizing productivity. The 6-Color LUCIA EX pigment ink set emphasizes the use of red ink, which allows for incredibly vibrant and eye-catching prints to be produced. To expand poster printing options and capabilities, the printers come bundled with a free copy of Canon’s PosterArtist Lite software, which enables easy poster creation in just four steps.